Our beautiful park of pristine woodlands, water and wildlife, will offer your group the perfect backdrop for your next outing. With facilities to accommodate up to 300 people, Winding Trails is the ideal place for your company picnic, family reunion, birthday party or wedding reception. 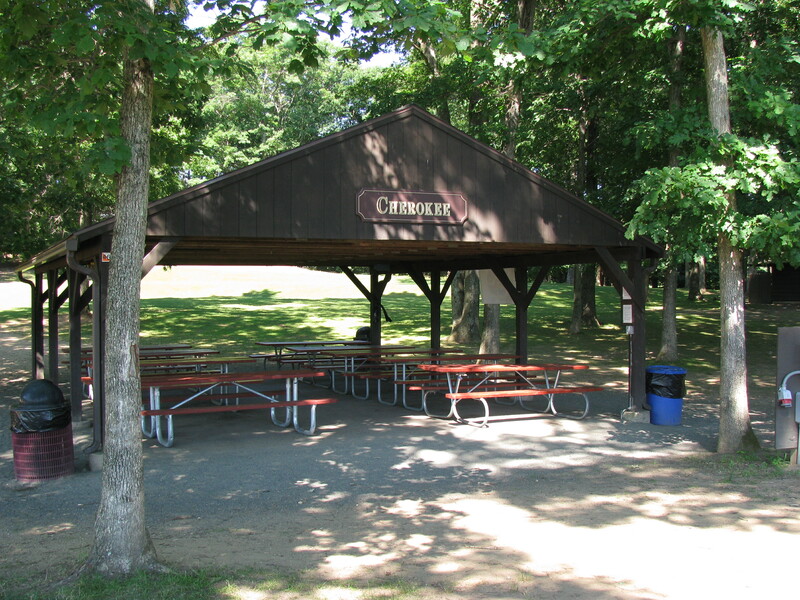 Whether you rent inside our Hall or outside under the shelter of a Pavilion, your day will be filled with recreational enjoyment for young and old alike. Groups will enjoy all the sports areas which include sand volleyball courts, basketball courts, bocce courts, tennis courts, horseshoe pits, softball field and soccer field. A sports bag of equipment is provided to each group for the day. Little ones can romp on the playscapes. Free paddleboats and canoes are also available for you to take out on Walton Pond, which is adjacent to the rental area, from 1:00p.m. – 5:00p.m. during the summer months. A variety of boats such as canoes, funyaks, paddleboats, sunfishes, windsurfers, etc., are available to rent at the Boat House at Dunning Lake for a nominal fee. Your group may also go swimming in Dunning Lake where lifeguards are on duty from early June through Labor Day. We have over 12 miles of trails to hike which will take you throughout our beautiful forest and along our many brooks and spring fed ponds. Your small group might also be interested in renting out the Conference Room in the Lodge for an all-day seminar or corporate training. A board table seats 18 people comfortably. The room offers a banquet table, refrigerator, counter space and a sink for the preparation of a light breakfast and lunch. There are a number of area caterers who can deliver lunch to you. The Conference Room floor has a unisex bathroom for your convenience.